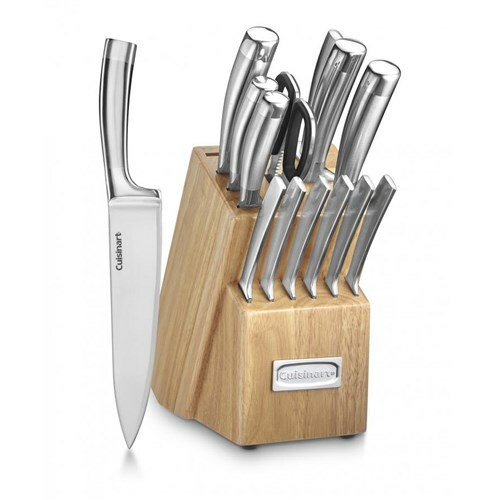 The Cuisinart C99SS-15P is a 15-piece cutlery set with all the essential knives in a storage block for any modern kitchen. It has stainless steel blades for precision cutting. 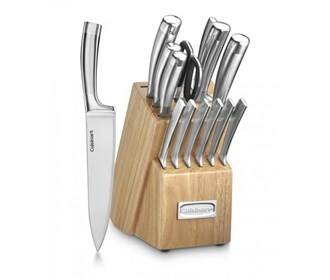 The set also includes knife block which makes it easy to store the cutlery when not in use. The Cuisinart 15-Pc Stainless Steel Cutlery has many exciting features for users of all types. The Cuisinart 15-Pc Stainless Steel Cutlery is sold as a Brand New Unopened Item.